Ren & Stimpy Show: Buckeroos! 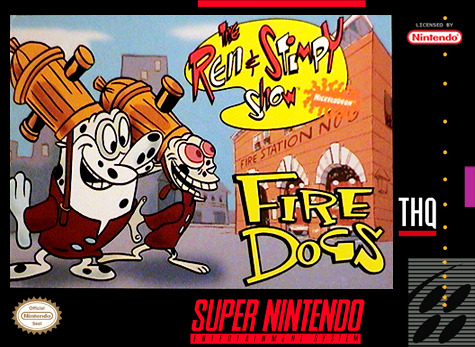 Ren & Stimpy Show: Fire Dogs for Super Nintendo has you make your way through the station in order to collect seven objects needed to fight a fire: a uniform, a helmet, a hose, a pair of socks, a trampoline, a rope, and a beaver. If you're able to find all the items, you'll team up with Ren at the scene of a fire as you attempt to catch all the appliances that are being thrown from the building.